I can now give this the Mona Lisa because, indeed, this story is worth the read, worthy of the hype and the top charts placement. It’s a little rocky at first (lol in more ways than one) but definitely settles into its stride and sheds important light on the Italian theatre of WWII that has mostly not been told. Excellent. Also, I’m glad to see an important book like this with a male protagonist. Those have virtually disappeared. 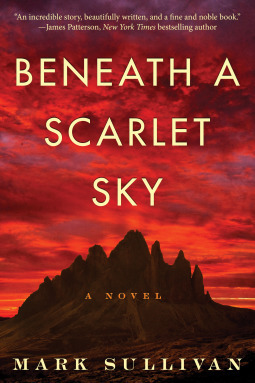 Sign into Goodreads to see if any of your friends have read Beneath a Scarlet Sky.